Summary: Figuring out how to pay for an LDS mission is one of the top things on the minds of youth and seniors who are planning to serve a mission soon. This article will discuss the process of paying for your mission. As I’ve discussed in my article about the costs of serving an LDS Mission, Mormon missionaries are volunteers and pay their own expenses. The responsibility to provide financial support for a missionary lies first with the individual and second with the missionary’s family. Missionaries and their families should make appropriate sacrifices to provide financial support for a mission and they will be richly blessed in return. Church leaders have even said that it is better for a person to delay a mission for a time and earn their own money rather than to rely entirely on others (see the LDS Church Handbook of Instructions). However, Church leaders have also stressed that worthy potential missionaries should never be prevented from serving solely for financial reasons when they and their families have done all that they can to pay their way. Many years ago, the Church equalized the contribution required to pay for expenses of missionaries, regardless of where these missionaries are called to serve. Young missionaries in the United States each pay $400 a month, and then depending on where they serve, they are allotted a monthly allowance according to their needs. 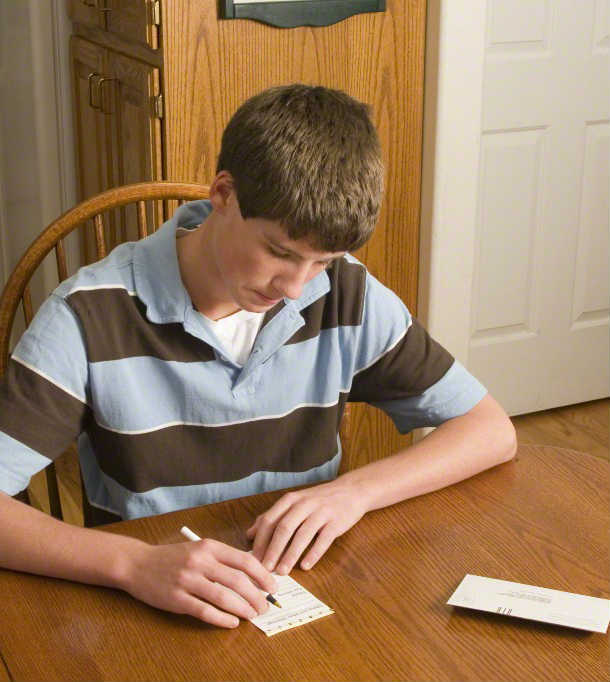 The missionaries and/or their family donate the $400 a month to the ward mission fund, paying it in the same way members pay tithing, via the paper envelope or the Church donation website. For each missionary from a ward who is serving a mission, the bishop ensures that the monthly contribution is available in the ward mission fund each month. As a side note, the new online donation website is great because it lets members all over the world donate to any missionary’s ward missionary fund, and thus help cover the cost to support missionaries. Also, it should also be noted that the equalized contribution applies only to young proselyting missionaries. It does not apply to senior missionary couples, missionaries in non-proselyting assignments, sisters ages 40 and older, or Church-service missionaries. While missionaries should avoid relying on people outside of their family for financial support, there are times when it may become necessary to ask others to help pay for your mission. If necessary, the stake president or bishop, in consultation with the family, may ask members in the stake or ward to contribute to a missionary’s support by donating to the ward missionary fund. This should only be done after all family sources of financial support have be exhausted. The $400 a month and associated monthly allowance missionaries receive is designed to cover food, lodging, transportation, and other missionary service-related expenses. Additional expenses a missionary might have are asked to be paid with personal funds. Missionaries are asked to bring or receive extra personal money for additional items that are personal or not a necessity. This includes clothing, bicycle purchases and repairs, medical costs not paid by the mission, photo processing, souvenirs, and gifts. These optional personal expenses should be kept to a minimum. In some part of the world supplemental financial support from the Church’s General Missionary Fund is available for missionaries who are unable to support themselves, even with the help of family and their ward and stake. Church leaders in those areas of the world will know if they qualify for such assistance. Senior missionary couples, sisters ages 40 and older, church-service missionaries, and young church-service missionaries are not able to finance their missions through the equalized contribution system. Costs for this missions vary greatly and these missionaries must pay their own expenses, or raise the necessary money from family and friends. It should be noted though, that senior missionary couples and sisters over 40, in some cases, may receive financial assistance from the ward missionary fund if they do not have adequate means to support themselves. Talk to your bishop or stake president for more information. This information with regard to senior missionaries is outdated and now incorrect. It was all superseded by letters from the Church in 2011 and later in 2015. The senior missionaries now have a specified amount for housing (rent, utilities, furnishing) which they will pay to the ward mission fund. 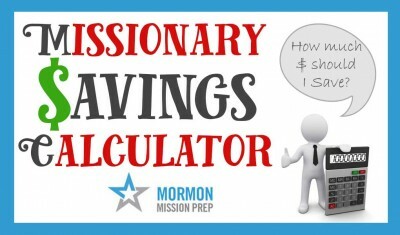 That same assigned amount is withdrawn from the ward mission fund by the Church. Other expenses continue to be paid directly by the senior missionaries.